Building good relationships with communities in which the business operates is a value on which CP ALL Plc. and its Subsidiaries (“the Company”) places great importance. This is because communities are neighbors, customers, and business partners all at the same time, with whom we can help each other. The Company has thus set targets to become a Company that is free from conflicts in important functions in its operations and in all locations in which it operates by 2020. To achieve this mission, the Company has established operational approaches encompassing job creation, promotion of morality and ethics, health, access to knowledge and education, and environmental conservation. 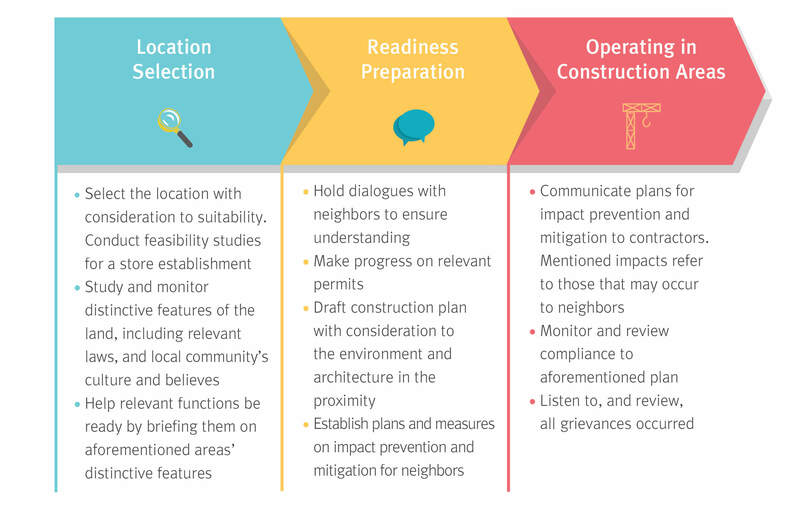 These focal areas were derived from social needs analyses, grievance mechanisms, and multi-channel consultation with the community, which included input from suggestion boxes placed at branch stores, hotline, and online portals. All of these reflect the Company’s commitment to build strong community ties. However, the Company discovered that there as many community contexts as there are varied demands. In order to arrive at an understanding, and as an important first step towards building good and sustainable relationships, the Company welcomes all feedback and is prepared to work together to prevent and overcome challenges, meeting the demands of the communities. Case Studies Concerns on landscape harmony between the store and its surrounding environment. The Company designed its branch stores to be in harmony with the surrounding environment by taking into account nearby architecture. The Company conducted location surveys and classified them based on sensitivity from this perspective to be used as guideline in branch expansion management. The Company is cognizant of impacts which may result from its business operations. 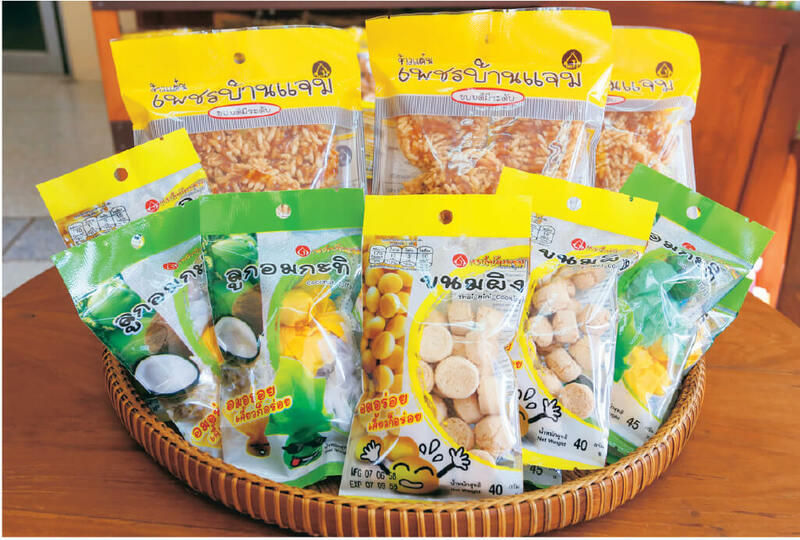 Adhering to principles of fair manufacturers that use local raw materials in its products to collaborate with the Company in improving their packaging and sales channels—generating new kinds of products, such as fresh shrimp paste with chili sauce, which was developed from dried chili paste with fresh seasonings and shrimp paste to give customers more convenience and increase the use of local raw materials. 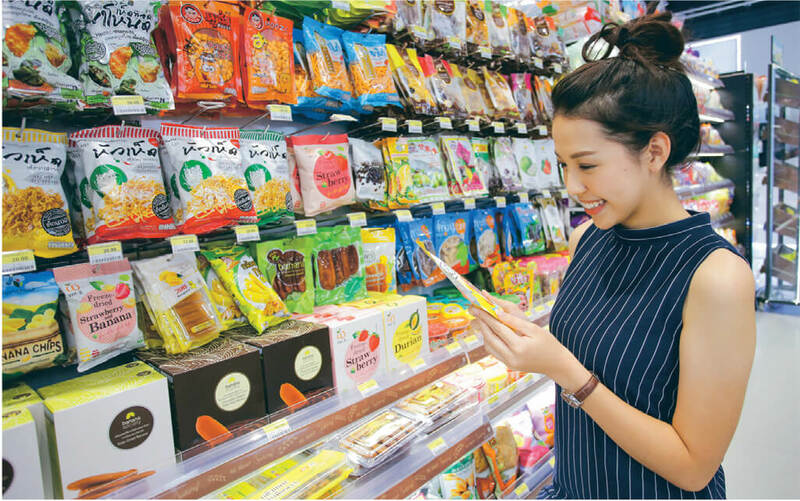 Overall, local products that have gone through merchandise and packaging improvements, as well as gaining access to convenient store sales channels, saw sales increase of more than 290%. “Fulfilling Dreams of Community Store Children Fund” is a project aimed at supporting the education of children and employees of community stores by giving them access to free vocational certification in retail business. 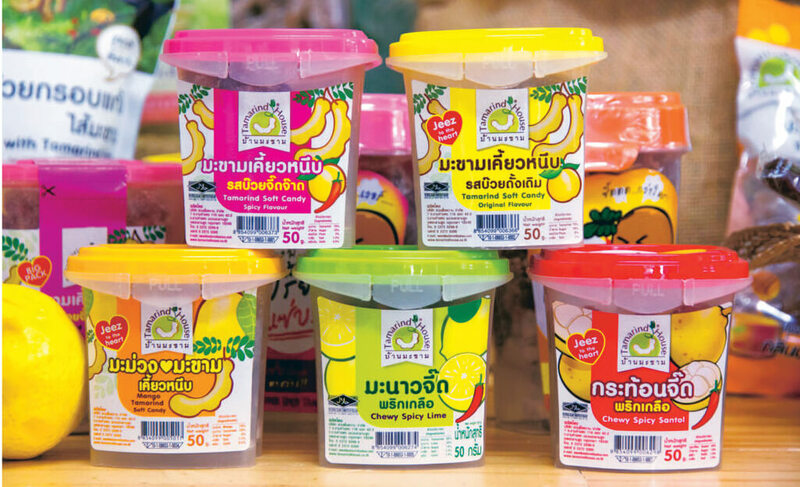 Scholarship recipients are able to take the knowledge gained to help sustainably develop their own business, by either studying in the Panyapiwat Technological College or the Panyapiwat Learning Center, offered at more than 20 locations in Thailand. Seminars for Community Store Owners on the topic “Prospering with Community Stores Sustainably” have been continuously conducted since 2008. 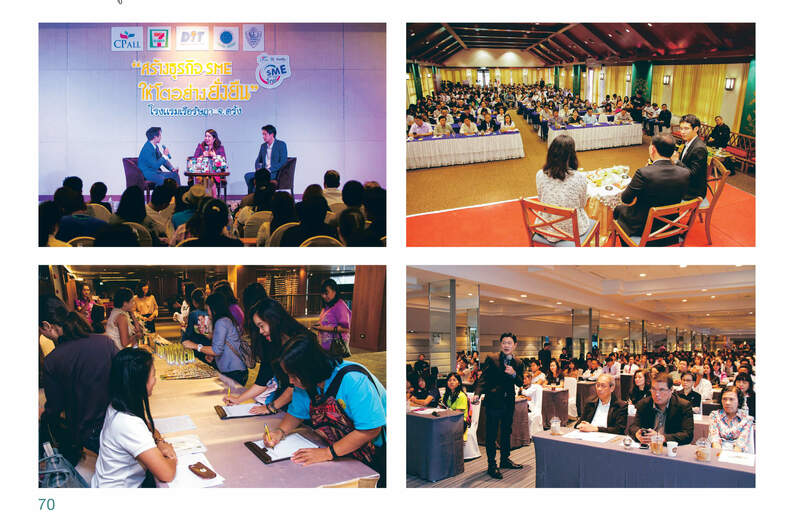 In 2017, more seminar locations were added, including NakhonSawan, Buriram, Lampang, and Trang, with over 1,000 participants. Trainings with government agencies were also conducted in order to help facilitate a knowledge transfer with community store owners. Conflict reduction and relationships building with nearby companies. CPRAM Co., Ltd. (bakery business), situated in the Latkrabang industrial zone, organized meeting sessions with the management of companies in the vicinity, with the goal of understanding their challenges, complaints, suggestions, needs, and expectations. Meetings are typically organized twice a year, and once every quarter in 2017. These sessions uncovered 3 key needs and expectations: 1) traffic congestion and obstruction, 2) parking in front nearby companies, and 3) people/stores in front of nearby companies. After the Company has received these expectations, it identified remediating and preventive measures through its Traffic Management Project, which encompassed designating 4 parking zones for executive staff, sales and marketing, employees, and suppliers. The Welfare Product Open House project has also allowed employees of nearby companies to purchase products at welfare prices, in addition to increasing their satisfaction in 2017 from 84.67% to 88.03%. 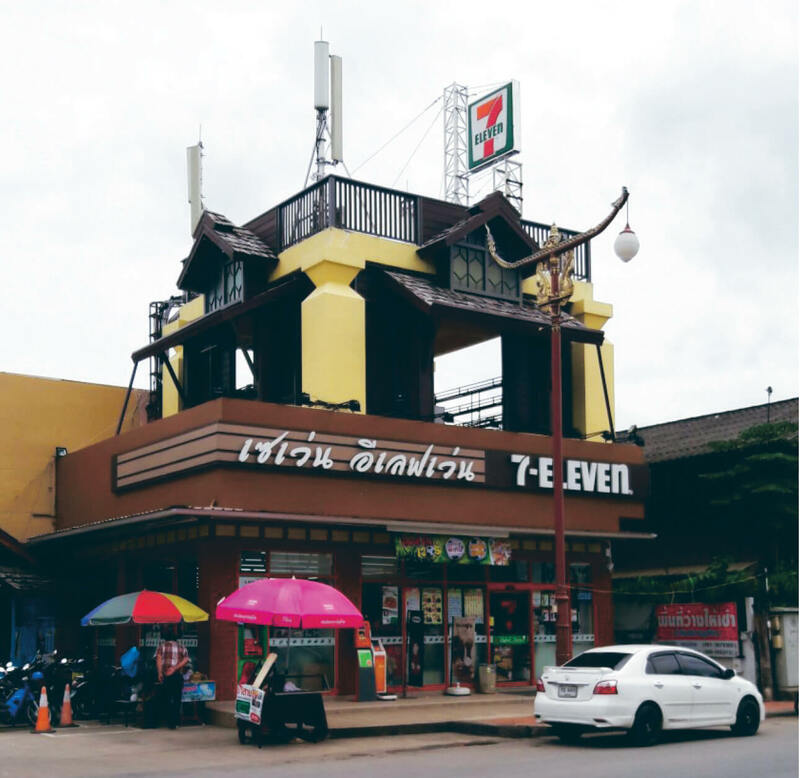 A collaboration project among eXtra pharmacy, Bangkok district office, and Vajira hospital has organized basic health checkups and conducted information sessions on basic medical knowledge for the community, such as diabetes and high blood pressure. The project also promotes greater awareness among community members to start caring for their own health, as well as increase their access to medical services by providing mobile medical units for communities within the vicinity of participating district offices. In 2017, 228 people received medical service through this project. 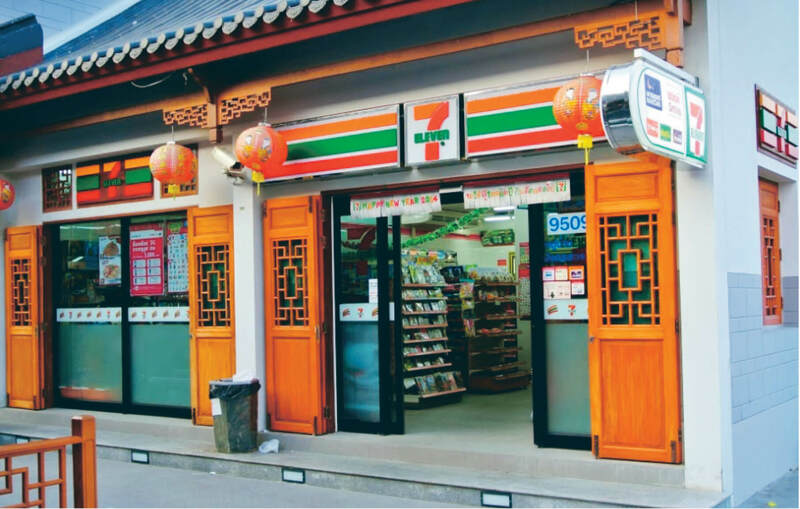 These 5 principles have been incorporated in decisions to establish new 7-Eleven branch stores, complemented by the respect for community-specific local customs and way of life—guided by the belief that community members are neighbors whom we will help and prevent negative impacts to best of our ability.